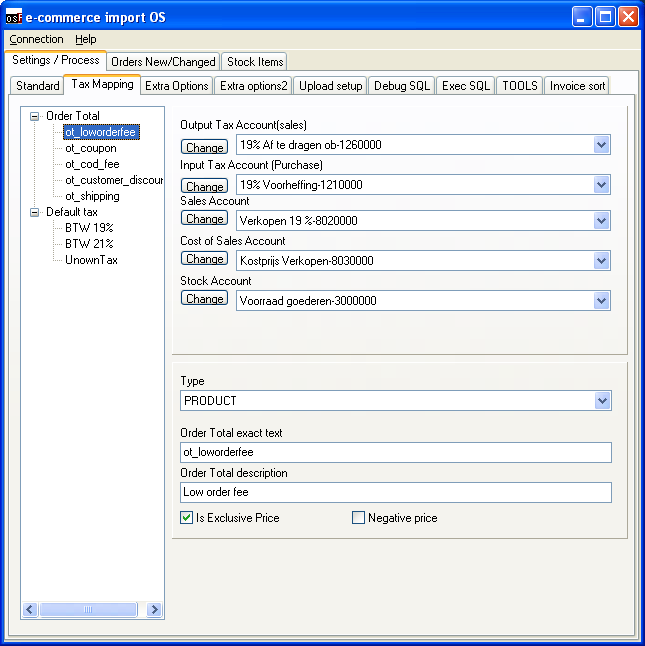 The E-commerce plugin can link to different systems. 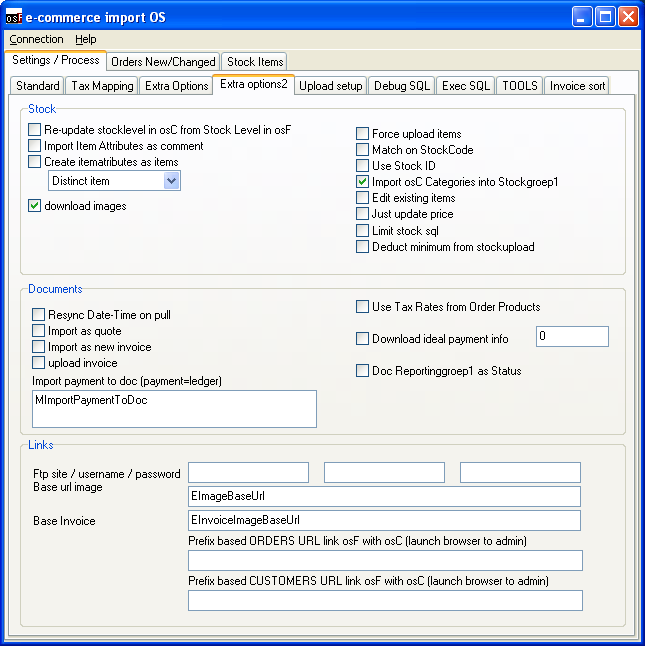 The E-commerce plugin can for example be used to link osFinancials to your webshop. The link makes it possible to exchange data back and forward between osF and you webshop. In the tab "Read more" there is more information about the import and export possibilities. * also every fork of osCommerce. The plugin doesn't need to be downloaded. It will be activated by a code. You will receive the code(s) and instructions through mail within two workdays after payment. Custom work is always possible. If you.ve got special wishes or you want specific features. Please do not hesitate to contact us. Considering the amount of possibilities and the complexity of this plugin we recommend you to choose for startup costs. If you choose to pay for the startup costs a technical consultant will calculate how much time/work it will cost to setup the plugin with your wishes. If the amount of work/time is reviewed we will make a quote without obligation which fits your wishes. 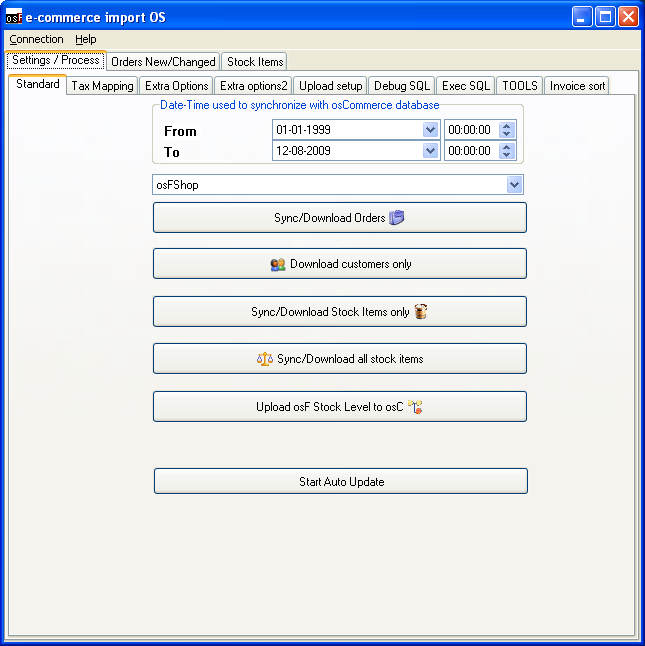 Further more everything you need to exchange between the shop and osF can be easily added. 11) Upload invoice (pdf) to webserver for you customer to download it (osF). 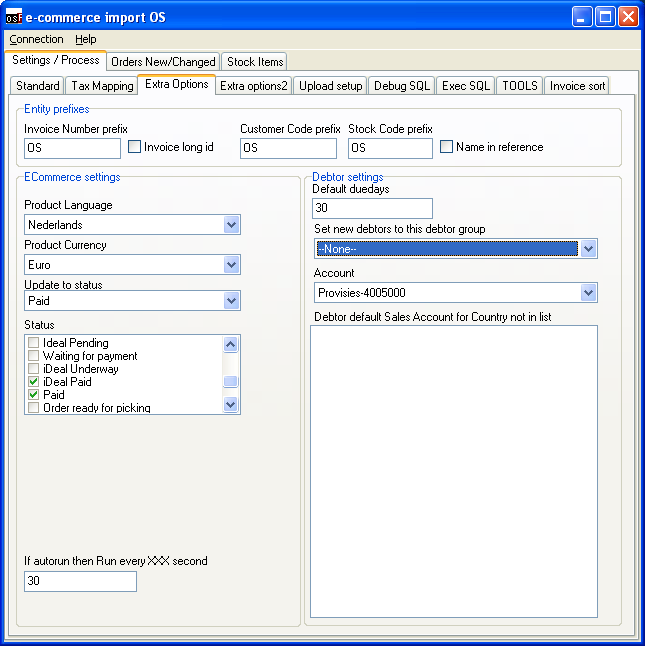 12) Importing iDeal payment data for matching in bankbook (osF).